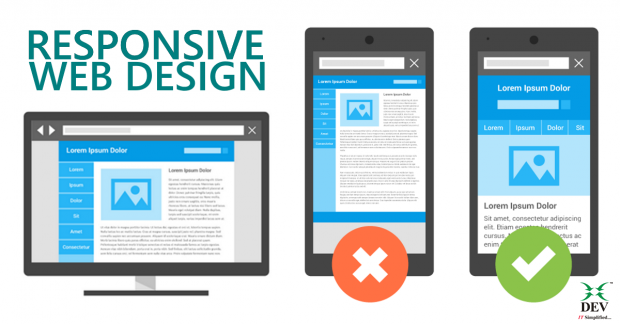 Responsive Websites: Survival of the Friendliest – Keep Up or Loose! Responsive web design (RWD) is an approach to web design aimed at crafting sites to provide an optimal viewing and interaction experience—easy reading and navigation with a minimum of resizing, panning, and scrolling—across a wide range of devices (from desktop computer monitors to mobile phones). Source: Wikipedia. Thanks to the behaviors of next-gen consumers in a digitized economy, websites can no longer only be designed to function for one specific type of device, but rather need to be compatible with browsers, desktops, laptops, tablets, smartphones with varied screen sizes for maximum reach-ability. Having said that, let us evaluate W5H Theory for Responsive Websites. In simple terms – Responsive web design is an approach that suggests that design should respond to the user’s environment based on screen size, platform and orientation, giving them the highest quality experience of your design and content. Well, not getting further into the technicalities and nerdy stuff here. 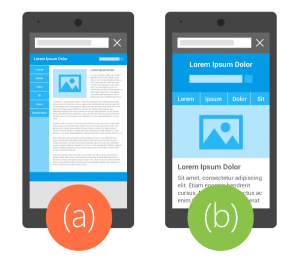 Take a few and notice the visible difference in user interface (a) and (b) of the website when accessed from a mobile device. would motivate your prospects to browse your website further? gives an easier user friendly rich navigable experience of the various sections of your website? helps to clearly showcase your brand and your brand message? The answer to the above is obvious – (b). Its a Responsive Web Design. Every man jack. (one and all). In today’s online web scenario, web design and responsive web design are the same thing. According to Forester, 37% of total retail sales will be mobile influenced in 2020. Business.com reported that more than two-thirds of consumers will purchase products/services from websites that are formatted to their mobile devices, and 40% will not return to a site that is not mobile friendly. Hence, if you don’t have a mobile optimized website, you are losing on a sizable online audience. Rethink! The prime objective of any business website is to generate leads for their business which can be eventually transformed into revenue for business. Agree? If you and me are on the same page, you and me need to pay respect and/or please the “BRAHMA” (GOD) of online space – the search engines who rank web pages. Responsive web design has become more important as the amount of mobile traffic now accounts for more than half of total internet traffic. Therefore Google announced Mobilegeddon (April 21, 2015) and started to boost the ratings of sites that are mobile friendly if the search was made from a mobile device. This has the net effect of penalizing sites that are not mobile friendly. Revenue earned from clients is directly proportional to web traffic. 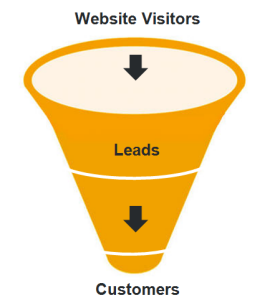 The more consistent the user experience, more the visitors, the more the leads – more the sales. Look who’s smiling. Not convinced yet? Consider the case: Your website battled hard to cut out thousands of competing websites on the internet and was finally able to gain attention of your probable biggest sales prospect of the year. The prospect visited your website from his iPad and your website was not able to fit into his screen (the content, links, sections of the website were not easily accessible/navigable) and thus did not have a rich user experience. Eventually he lost interest and closed your website. Worse, your competitor’s website caught his attention and because his website was responding well on his iPad environment and was able to navigate the website seamlessly, he dropped them an inquiry and eventually your competitor won the deal. Of-course you would not want that happen to you. Would you? Go to https://www.google.com/webmasters/tools/mobile-friendly/. This test will analyse a URL and report if the page has a mobile-friendly design. Where can you learn more? Share your mobile-friendly test results with us and our team of UX and SEO experts will help you take a deeper dive. Engage a specialist. Let DEV IT do a complimentary website performance assessment for you followed by recommendations. Having more than 2 decades’ experience in the UX and SEO space, we know which websites work for business. Talk to us. You can’t wait for clients to happen. You need to make them happen. Let’s face it! We can’t wait for our website visitors to come searching for us unless we are a bigwig of the industry or offering something really cool. Rest of us have to go hunting for clients in the online jungle and make them visit our website which works as a 24×7 marketing arm of our business. In today’s digital world, website is a prime asset. Have you evolved to keep up with the web revolution? Nice Post with New concept thank you for sharing such as post.